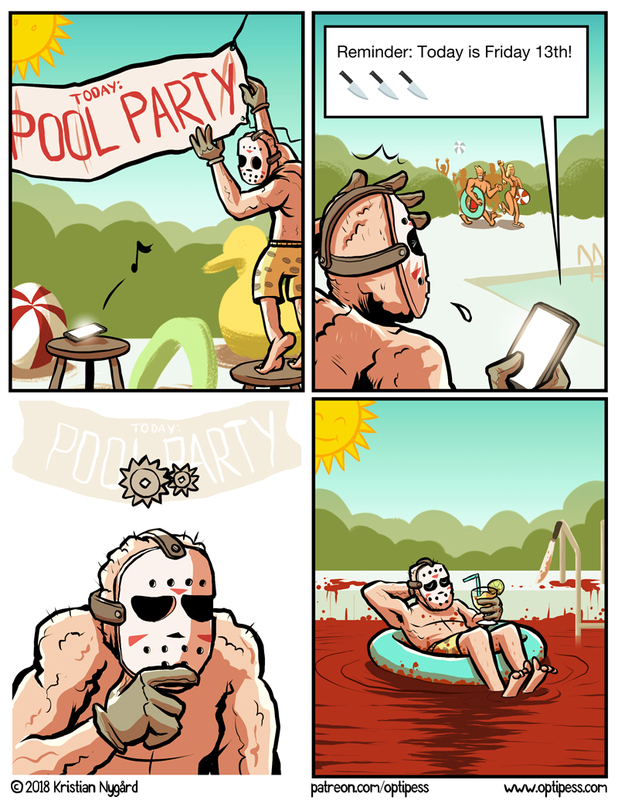 Optipess - Today: Pool Party! Yay for Jason! Also, I will be joining his pool parties for the next couple weeks as I’m cashing in on some much deserved (?) vacation time! So no “regular” updates until August, but I’m planning at least a couple Patreon timed exclusive comics in the interim. Support me there to get them in your feed the minute they’re ready! I hope you will return soon! I always like to keep track of your posts!